Do you think about SEO? Well, you are not alone in your thought! In this modern world of internet marketing landscape, everyone plans to go organic. But hey, buddy, we aren’t talking about picking up some fruits from the hipster’s shop trendy down the street. The kind of organic we are talking about here is the type that targets the browsing habits of website users. The aim is to provide them the best and perfect result they can get. Running a successful SEO campaign is one thought that keeps popping up in the mind of every business owner with an online presence. To develop and run a successful SEO campaign requires taking into consideration essential factors, which goes way beyond the typical SEO task. If you think achieving good ranking across SERPs is the main concern of SEO, then you are wrong. Apart from good rankings on SERPs, a good SEO campaign should involve link building strategies and drive traffic to your website from a variety of sources, which includes social media and mobile. Today’s evolving digital industry has transformed SEO and running SEO campaign now involves marketing techniques found mostly in digital marketing campaign or internet marketing campaign. Whatever you call it, it is clear that running a successful SEO campaign includes far more sophisticated steps. It’s about having a reliable and informed process in place as much as getting familiar with modern technology. Here are essential tips you can choose to achieve a successful SEO Campaign. Website platform. It is essential to know whether the website is built on a modern or outdated platform. A website built on a modern platform like WordPress will end up becoming fast, more flexible in designing, easy to optimize and more secure. If the platform is an old one, then you have to migrate to a new one first before any meaningful success can come into play. The design. Apart from the platform, one of the critical things you need to decide beforehand is the design of the website. Consider if you will keep or change the current design. In this case, you will need the SEO services of a professional web designer to help you. You can never run a successful SEO campaign without first analyzing and understanding your traffic sources—an important metric consideration in an SEO campaign. Try to figure out where your website is getting its current traffic. One way you can do this is by viewing traffic sources report made available through Google Analytics. If your site doesn’t have Google Analytics installed, you can get a professional offering affordable SEO services to install one for you, or look for other relevant tools to get the information. It is important you understand and determine which search engines your traffic is coming from (Google or others). That is, organic traffic and those coming from other sources. The first thing most e-commerce SEO services will do for you is to perform an SEO audit of your business website. An SEO audit is the beginning of your SEO campaign, and the outcome will form the action plan for your campaign. Through the audit, you will be able to identify areas that require improvements regarding on-page SEO (within the site) and off-page SEO (off the site, beyond the design). While link building campaigns have been an integral part of internet marketing, the SEO landscape has shifted more of its attention from building links over to creating a variety of social media connections. Immediately you start affecting the SEO audit recommendations, the next phase is to start working on your social media presence. This tip is essential in that it will not only get you good traffic but will also let you gauge whether you are on the right track. For instance, if your product or service is promoted on Twitter or Facebook, it is an indication that what you are doing, is the right and acceptable thing. On the other hand, if despite using good social media marketing drive you still can’t get a positive return such as traffic, followers, Likes, then it is a clear indication that you need to improve your content quality. It is almost a certainty that you are up against more than a handful website offering similar products or services as you’re doing. You will be helping yourself to know who your competitors are and how they operate online, particularly their local SEO services can assist you in creating your long term pan. Analyze your competitors to know what they are doing differently from you, and doing so will help you stay current with new trends. Before now, most of us are quick to ask, what is link building? That was when digital marketing was still at its baby stages. Now, there is a new chapter to operating a true SEO. 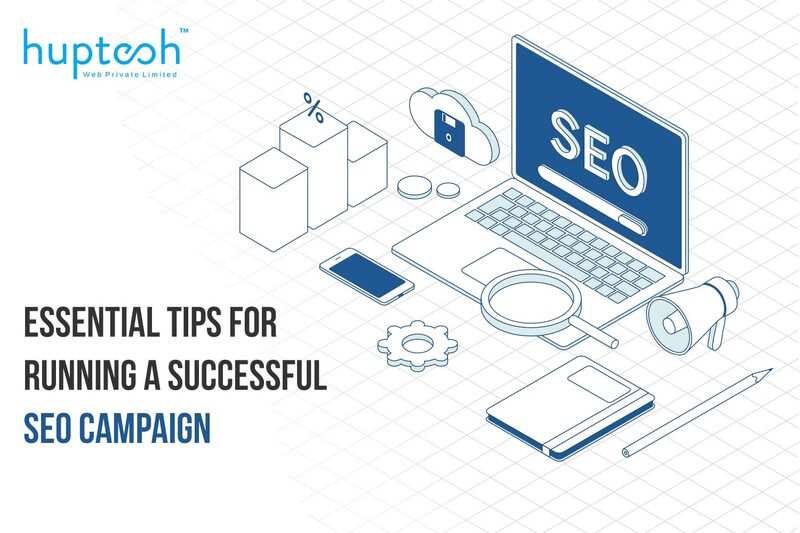 By establishing your content strategy, building relationships and measuring success, together with the tips mentioned so far, you8 have the best way of running a successful SEO campaign.